Masri Clinic for Laser and Cosmetic Surgery (Dearborn) - Book Appointment Online! 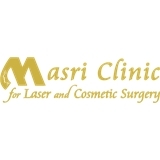 Masri Clinic for Laser and Cosmetic Surgery is the only specialty cosmetic surgery clinic in Michigan with Board Certified physicians in Facial Plastic Surgery, General Plastic Surgery, and Esthetic Medicine. Utilizing the latest cutting-edge technology along with superior personalized care, Masri Clinic offers effective treatment solutions at competitive prices. Masri Clinic's highly skilled team of surgeons and estheticians provide unparalleled service and quality of care.